When you’re sending out job applications, your success at landing interviews will depend in large part on your resume. Hiring managers may see dozens or even hundreds of resumes in a single day. Most job listings get quite a few applications, and the more attractive the job, the more applicants it will receive. The first impression your resume creates is important, because that will determine if the hiring manager looks into it any further. 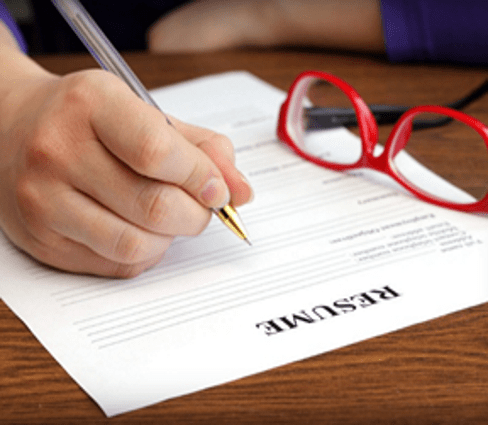 Professional resume design services are available (such as Loft Resumes, Resume Baker), however, they can cost over $100, which can be a big expense if you’re out of work and trying to cut costs. However, the benefits of a professional resume design justify the costs. The most significant benefit of a professional resume design is how your resume will look. It’s not all about your qualifications and the information contained in your resume. A professional resume design influences hiring managers in a couple key ways. First, it makes your resume stand out. When a hiring manager has been spending, hours going through resumes that are all formatted similarly, he’ll automatically take notice when yours pops up and looks different than the rest. A professional resume design also gives the hiring manager the impression that you take your career seriously and that you were willing to go the extra mile with your resume. It’s like if every other candidate showed up to the job interview in a t-shirt and jeans, and then you showed up in formal attire. With your resume, you’ll look more professional than any of your competition who put a generic resume together themselves. Your resume needs to have the right formatting to get the best results. The design must be clean and smooth, presenting the necessary information without feeling cluttered, and you want your biggest selling points in the areas where the human eye will naturally start reading. Professional resume designs take advantage of how hiring managers read resumes to ensure that they see the most important information first. They’re formatted in an aesthetically pleasing fashion, with enough white space to keep the resume from looking cluttered. least a couple hours on the process, and at that point, you would have been better off saving your time and going the professional route. Don’t worry if paying for a professional resume design is too much for your budget. You can get the same great results with a resume template. With a resume templates, you need to find one that’s high quality, as there are plenty of sites offering generic templates or templates that don’t match what you need. 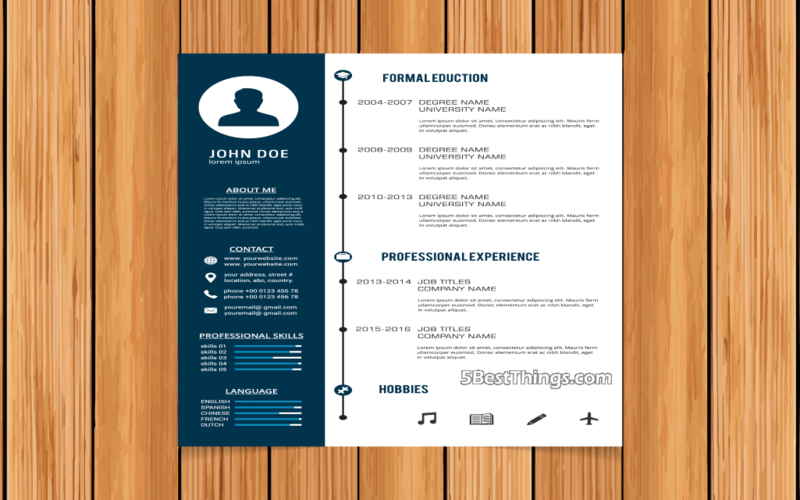 Hloom, Microsoft Office Resume Templates (and some ideas on Pinterest too), are some really popular options with hundreds of professionally designed resume templates available. You can download the templates in multiple file formats, making it easy to set up the template in your desired program. The biggest benefit of choosing one of them is the diverse mix of resume templates available. The section mentioned over these sites have worked well for other jobseekers in the past too. You can also browse basic templates, clean designs, modern styles, creative resumes and the recently popular infographic resume design. This allows you to find a template that fits your personal style and the job you’re applying for. If you’re applying for a finance position at a company that has been around for decades, a more conservative, clean-cut template will likely be the best choice. For a graphic designer position at a start-up, a stylish creative or infographic resume can match what the company wants from its candidates. With a resume template, there’s the risk that your resume won’t look unique because other people are using the same template as you. That’s why you should use the template to guide you, while adding your own personal touches. Your resume will end up with the best of both worlds – a one-of-a-kind look that grabs every hiring manager’s attention packaged in a professional design. Take your time when you create your resume. Consider it an investment in yourself. Putting together a professional resume now will pay off when you get more job opportunities. Author Bio – Helen Cartwright is a passionate blogger, who excels in the Digital Marketing and Technology niche. When not wired in marketing strategies she ghost-write for a variety of authors who have their work published on leading online media channels such as The Huffington Post and Entrepreneur.com.